I received an email from Apple inviting me to participate in the Apple Heart Study. I got interested in the program so I read up about it and decided to download the app and sign up for the study. Here are the questions I had about the program which Apple answered quite well in their documentation. What is Apple’s goal with the study? Apple is attempting to improve the technology used to identify irregular heart rhythm, known as arrhythmia. 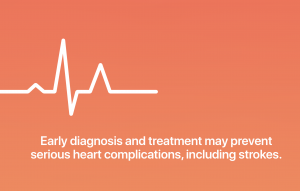 The Apple Heart Study uses data from Apple Watch to identify irregular heart rhythms, including those from potentially serious heart conditions such as atrial fibrillation, or A-Fib. The study is being conducted in collaboration with Stanford Medicine to accelerate discovery in heart science. The more people who participate in this study, the more statistics that can be gathered and the greater the potential benefit to the community at large. So Apple is inviting all Apple Watch owners (Series 1 and up) to join the study. What are the requirements to participate in the study? Requires Apple Watch Series 1 (Fall 2016 model) or later with watchOS 4 and later. The Apple Heart Study does not support the original Apple Watch. There are also some personal health requirements to participate in the study: your heart must be generally healthy (i.e. you don’t have a history of heart rhythm irregularities) and you’re not taking medication to treat any heart conditions. Why would you want to participate in the study? The first is for the greater good. Your heart data will be merged in with all of the other participants to help Stanford Medicine develop a statistical database that will help researchers improve their knowledge of heart science. Early diagnosis and treatment of irregular heart rhythms may prevent serious health issues. But if contributing to a group at large doesn’t interest you or even if it does, there’s a more personal reason to join the study. The app will passively monitor your heart rate along with your heart rhythm. If an irregular heart rhythm is observed, the app will notify you directly. After the notification, you’ll receive an offer to have a free voice or video consultation on your iPhone with the study’s medical professionals for further analysis. The video consultation connects you with a board-certified, licensed, primary care provider from American Well who is available 24 hours a day, 7 days a week. The doctor will make an assessment as part of the study and recommend next steps. In some cases, the doctor may recommend a BioTelemetry electrocardiogram (ECG) patch for additional monitoring. The patch will be mailed to you at no cost and should be worn for seven days. The ECG data gathered over this period will be used to determine whether A-Fib or another type of irregular heart rhythm is present. It’s important to note that the Heart Study app does NOT provide you data on your heart health or heart rhythm unless it detects a problem. Only if a problem is detected will you get feedback in the form of a notification and an offer to consult with a doctor. The app’s primary purpose is to feed your heart rhythm data into Stanford’s statistical database, not to give you real-time feedback on your heart condition. The only data the app provides you on a continual basis is the number of times it has contributed your rhythm data to the study and the number of days you’ve participated in the study. Apple makes it clear that this study is not a substitute for medical advice you might get from your doctor or another healthcare provider on your health status. They recommend that you should continue to see your regular doctor and keep any scheduled physical exams, cardiac screening procedures, and medical appointments. Should you be concerned about the privacy of your heart/health data and how it’s used? Remember, this is Apple who is running the study, and they have consistently demonstrated how important they believe it is for users to be able to keep their data private and secure. Of course, we’re talking about health data here which is particularly sensitive to most users. Apple has partnered with other organizations to collect data for and to conduct the study. Presumably, Apple has selected partners who treat user data with the same high level of privacy and security that they’ve demonstrated. Since some of the data handled in the study are covered by HIPPAA regulations, the requirements for handling this data is governed by U.S. Federal law. Apple’s partners who have access to this sensitive data state they comply with HIPPAA regulations. For this study Apple states, “[they] will not have access to any information that can directly identify you. You may receive data from wearing the BioTelemetry ECG patch, and summary notes after doctor consultations. It’s completely up to you whether to share these reports with your primary care physician.” The primary care physician is provided by Online Care Group, American Well’s affiliated physician practice. I think it’s safe to assume the doctors at Online Care Group will treat your health data as responsibly and confidentially as any other doctor would. After going through the sign-up/approval process and reviewing these documents, I was satisfied that Apple and its third-party partners will be handling my personal data in a manner with which I’m comfortable. How do you join the study? The first step to participating in the study is to download the free Apple Heart Study app on your iPhone from the App Store. After you open the app, you’ll be presented with several screens that inform you what you’re signing up for and require your authorization. In addition to authorizing Apple and other third parties to use your data, you’ll also be asked to enter personal data such as race, age, height, weight, blood pressure, how much you may smoke and/or drink, and any heart conditions you may have. Once you’ve signed up, you will be assigned a Study ID number and a phone number you can call to report a problem. From that point on, the only thing you need to do is wear your Apple Watch. The Heart Study app just runs in the background, automatically collecting your heart data and sending it to Stanford Research. 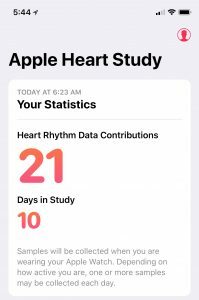 The only data you can query from the app is 1) how many heart rhythm data contributions you’ve made to the study, and 2) how many days you’ve participated in the study. The app states that “Samples will be collected when you are wearing your Apple Watch. Depending on how active you are, one or more samples may be collected each day.” The only other interaction you will have with the app is if it detects an irregular heart rhythm and notifies you of the condition. What happens if the Heart Study App does not identify any heart rhythm abnormalities? Study participants who do not have any detected heart rhythm abnormalities will receive a notification inviting them to complete an End of Study (EOS) survey as early as September 2018. This EOS survey will be available via a link in the app to a website and they will have until January 31, 2019, to complete this survey. The survey will ask participants questions about their medical history during their participation time in the study and will take approximately 10 minutes to answer for most people. 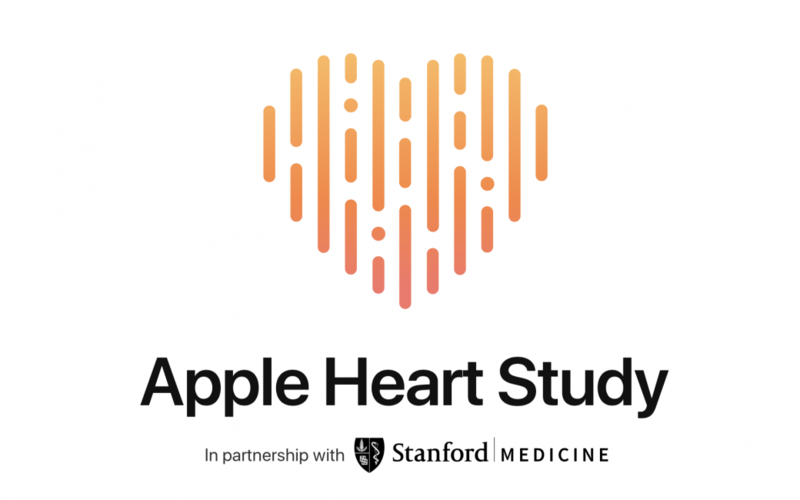 Approximately 500,000 participants may participate in Apple Heart Study study. Your participation in this study will last until approximately January 31, 2019, but data gathered from you in this study will be used and analyzed for a longer period of time. 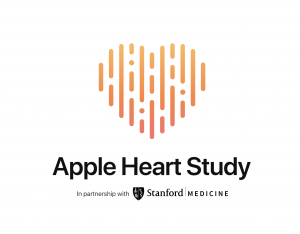 The Apple Heart Study App will continue collecting data from you until January 31, 2019, unless you withdraw from the study or you delete the Apple Heart Study App. You can withdraw from the study at any time. Why is the Heart Study app rated so low? I was surprised to see the Heart Study app is rated only 3.1 out of 5 stars on the App Store. Most of the 1-star reviews were from people who were surprised or disappointed the app doesn’t support the first gen Apple Watch, even though Apple clearly states this constraint in their documentation. 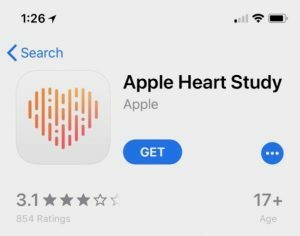 There are several low-star reviews where new users had trouble getting the app to start collecting their heart data. These tend to be earlier reviews submitted in December 2017 when the app was first offered. I chalk these up to start-up problems in rolling out the app. Then there are other low-star reviews where people are disappointed they aren’t able to see their heart rhythm data in the app. These people are just uninformed since the app was never designed to provide this type of feedback to the user. Apple also makes this clear in the documentation, but I understand users often don’t read the documentation. The Heart Study app generally receives good reviews and high ratings from people who have a compatible Apple Watch and iPhone and know what to expect from the app. If you meet the requirements for the study and want to contribute to improving the knowledge base of heart science or if you want to be notified if your heart experiences an abnormality in its rhythm, the Heart Study app may be right for you. Otherwise, move along – this isn’t the app you’re looking for. Good for you, Steve! I’ve been in the study for 184 days now, and it works in the background, never bothering me. I hope this leads to further progress in heart disease research and treatment. Great Sandy. I couldn’t agree more. You must have joined the study right after the app was released. Wow great dental and insight Steve. Thanks for writing this up. Almost makes me wish my watch was newer so I could participate. Kevin, thank you for your feedback … but I’m trying to figure out what word you meant instead of dental.